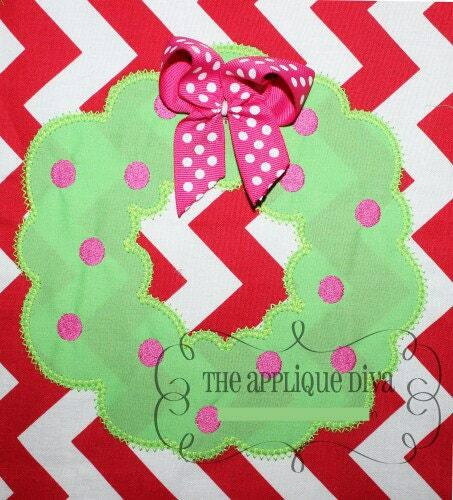 Christmas Wreath Embroidery Design Machine Applique. With your purchase you will receive the applique in 3 sizes: in 4X4, 5X7, and 6X10 hoops in zig zag and satin stitch. We offer instant downloads. Design files will be emailed to your Etsy email address within 5 min of purchase.